You are here: Home / Being Human / Better Living / Do you know where your journey of life starts? 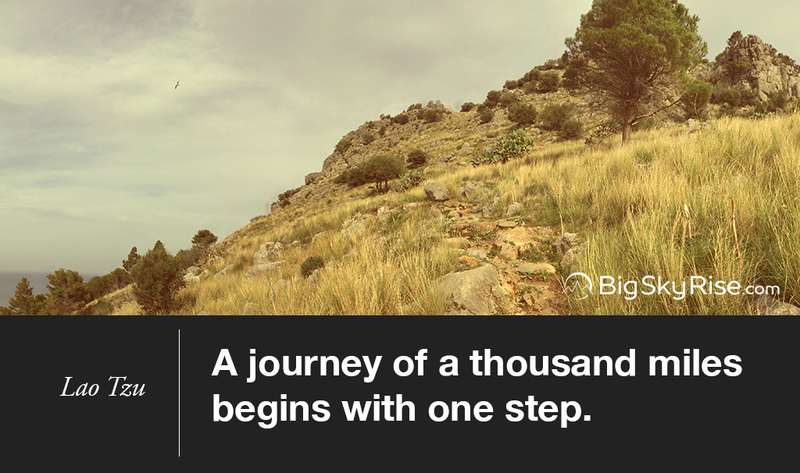 Do you know where your journey of life starts? This is the moment, the beginning of it all. Every journey has a starting point; the journey of life has many. Unlike most journeys, you get starting points all along the journey of life, and one of those points is right now. This moment is the chance you have been waiting for, and the best place to start a fresh new journey on the path you’re meant to walk. There are many ways to start anew on the journey of life. Knowing where you are and where you want to go allows you to take a new step with purpose and direction. Being fully aware when you take that step makes it an impactful one. Being mindful and present all along the journey ensures success in the many wondrous endeavors you take on. This is why learning to be mindful, present and aware is crucial for everything you do, and for fully experiencing the life you want to lead. So, no matter where you are on the journey of life, this moment is the one to begin your practice of being. This is the time to be present and seize the moment. Like a starting point on the journey of life, this stands as one starting point on BigSkyRise for the exploration of mindfulness, presence, and being. Stay tuned and sign up now to get exclusive tips, tools, and goodies—and of course so you don’t miss any moments of insight and inspiration. You have a chance right now to change your life—and that of those around you—for the better. Embracing that chance begins with mindfulness and being present with your life. Now is the time to be. P.S. This post is a bit lighter in content and external resources than many of the upcoming ones, and there’s a reason for it. In the modern world, it’s very easy to miss moments, chances and opportunities, or alternatively make leaps into something without clarity, or the knowledge of where we’re leaping from. So, please, take a moment to consider what this moment means to you. Enjoy it the best you can. Take the time to pause, even for just 10 seconds.